Heavy duty levelling bucket. Low rise design and a long bottom gives excellent visibility to the front edge of the bucket. 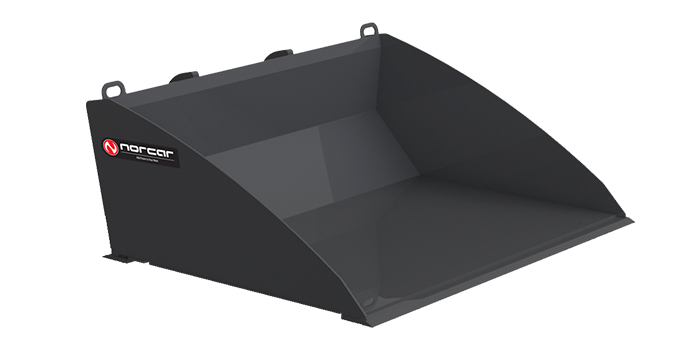 The bucket has a 12 mm thick cutting edge in both the front and the rear which provides efficient levelling and cutting even in tougher materials. The bottom is reinforced with wear plates. Optimized for maximal breakout force and tilt angle.